To talk something good and be a part of a good work, one needs to definitely have a clean image. However, as per reports, Hyderabad cops had three celebrity names on their minds as clean actors and Jr. NTR happens to be one of them. 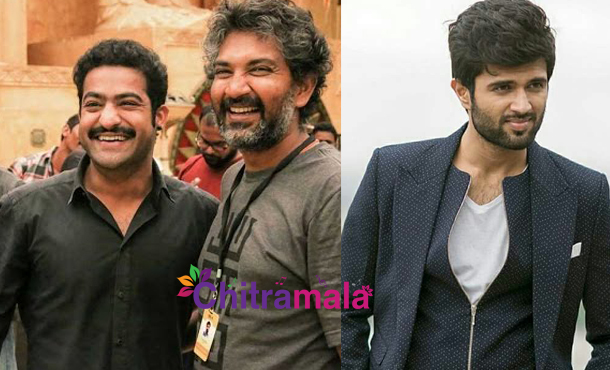 Jr. NTR along with top director Rajamouli and young sensation Vijay Devarakonda were roped in by Hyderabad Police to feature in the five short films they had made to address various issues like social media crime, job frauds, OTP frauds, matrimonial frauds and multi-level marketing. The shooting part is complete and the Central Board of Film Certification has already cleared these short films. These films are meant to campaign against crimes and hence, celebrities with clean image were said to be used for this genuine motive. The fans of these three celebrities will rejoice for sure as it’s an honour of its own kind. What say?